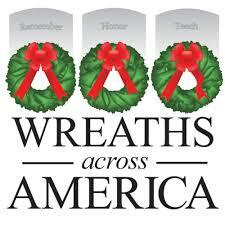 If you would like to support Wreaths Across America, the cost is $15 for each wreath. Checks made payable to “Wreaths Across America”should be sent to Compatriot Gary W. Timmons, 13 Elm Lane, Wheeling, WV 26003. For every two wreaths purchased a third wreath is contributed. Beginning in 2016 the Fort Henry Chapter will be alternating every third year with the George Washington Chapter, Washington, PA and the Ebenezer Zane Chapter, St. Clairsville, OH in conducting the SAR ceremony prior to the wreath laying. The event will be held at the National Cemetery of the Alleghenies,1158 Morgan Road, Bridgeville, PA at noon on December 16, 2017. You are advised to dress warmly and to arrive early as the event draws a large crowd.